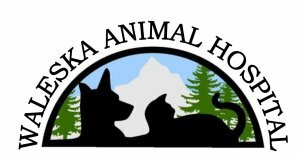 Welcome To Waleska Animal Hospital! Waleska Animal Hospital is the newest member of Etowah Veterinary Hospital, Inc. We are excited to join the community of Waleska and surrounding areas.We offer physical exams, yearly vaccinations, and out-patient surgeries such as spay, neuter and wound repairs, and dental cleaning services. We have many products available in our in-house pharmacy including multiple flea and heartworm preventions, joint supplements, dental care products, and medications for numerous health conditions. We can also order prescription medications for your pet if needed.Our goal at Waleska Animal Hospital is to work as a team to provide the best care for our patients. We realize that all patients are different and need an individual treatment plan that suits their particular needs. Please feel free to call with any questions you may have concerning your pet's healthcare.